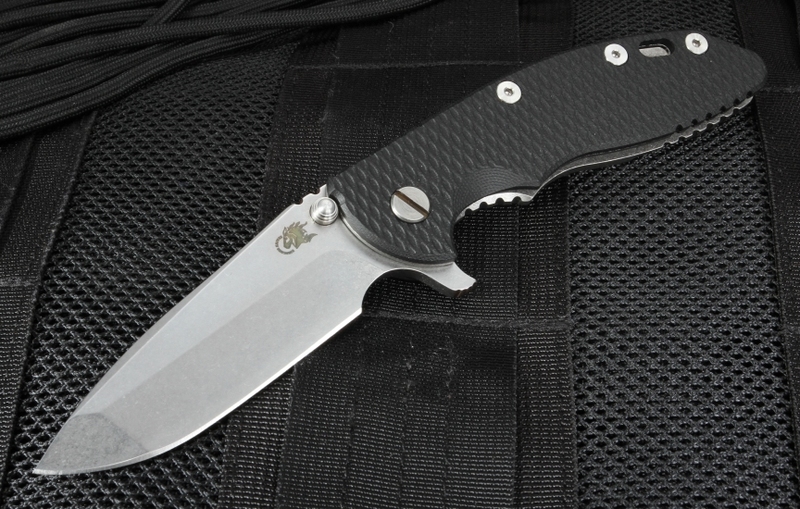 When you think of a Rick Hinderer XM-18 folder, this 3.5" Spanto Flipper with textured black G-10 handle scales is probably what comes to mind. Made in America at Rick Hinderer's Ohio shop, this legendary tactical operations knife is used by first responders and outdoorsmen everywhere. More than 30 years of knowledge and craftsmanship go into every XM-18 3.5-inch Spanto knife. 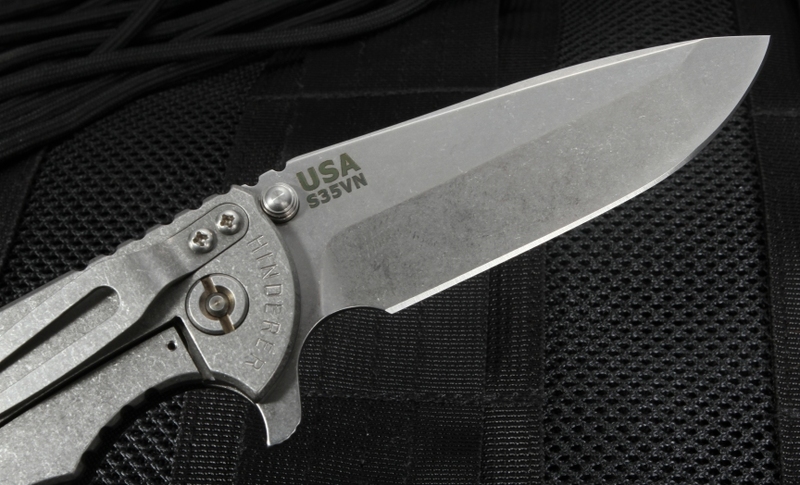 The 3.5-inch blade is constructed of American-made CPM S35VN stainless steel, which is an excellent blade steel choice for a tactical folding knife because of its corrosion resistance and ease of sharpening. 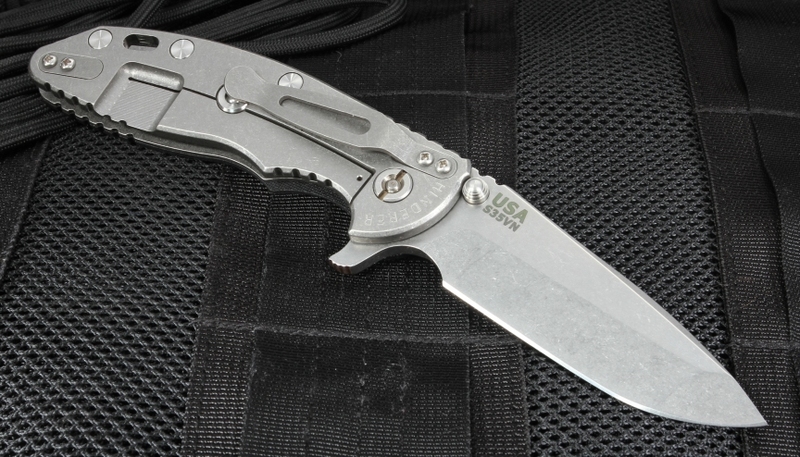 It has Rick Hinderer's well-known Spanto blade, a practical hybrid grind with a thicker edge to handle heavy-duty use. The integral flipper design allows the blade to be opened with the right or left hand. Each blade also features dual thumb lugs to making one-handed opening even easier. The handle of the Hinderer XM-18 Spanto is constructed of aerospace grade titanium with textured black G-10 scale. 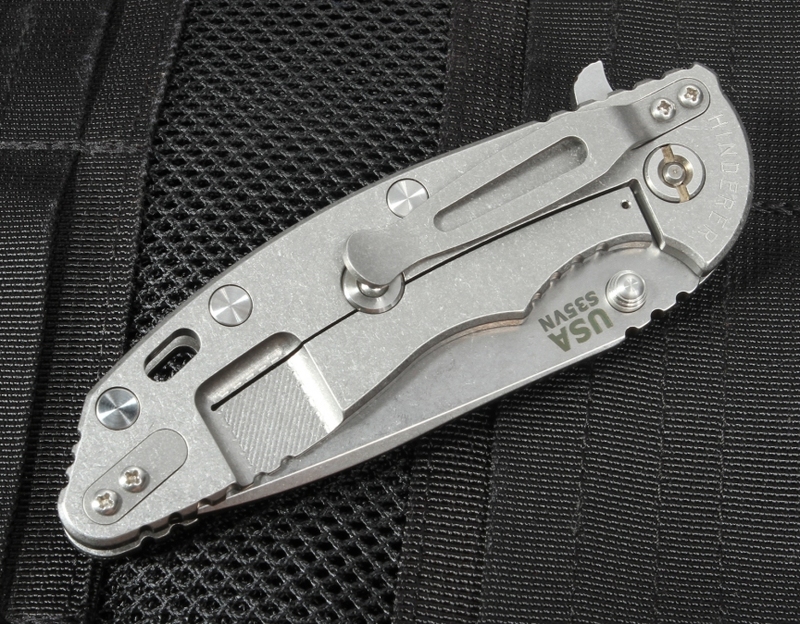 It features a frame locking design with a Hinderer lock bar stabilizer to prevent it from closing while in use. Add a lanyard for carrying using the lanyard hole in the rear of the handle. 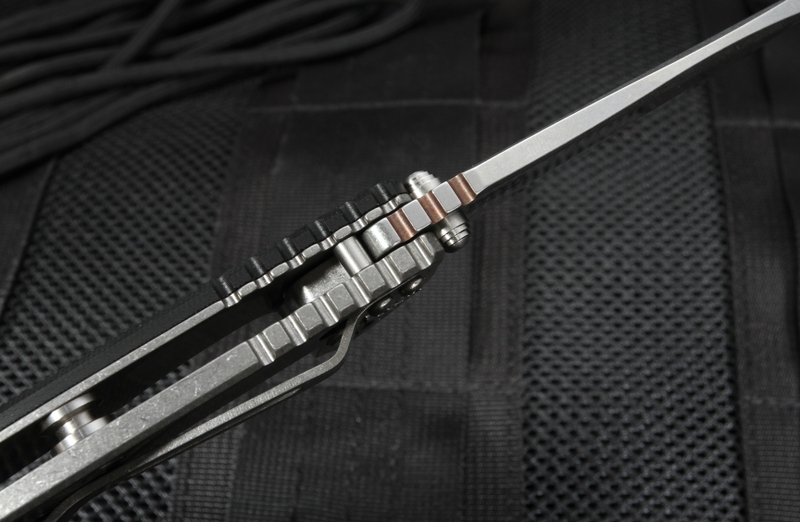 Carry your blade tip up or down using the dual-mount titanium pocket clip. Both the stainless CPM S35VN blade and titanium handle have a matching stonewash finish that improves its aesthetics and durability. KnifeArt.com has fast shipping and a 100 percent satisfaction guarantee on the Rick Hinderer XM-18 tactical knife. You'll also have the confidence of a lifetime manufacturer's warranty.